Our training manuals and other training courseware are all customisable, so you can personalise them for each person and to match the contents of your training. What's best - you can order as many or as few as you need and whenever you need them. Print4London.com has been printing training manuals and releated materials like certificates and workbooks for close to 50 years and we count some of the largest training providers in the UK as customers. We print on three types of paper and offer three types of binding for training manuals, training books or training booklets: Choose between perfect bound, stapled and wiro-bound training manuals printed on glossy, silky or uncoated paper. Regardless of whichever binding and paper option you choose, you can be rest assured that you will receive high-quality, bespoke training manuals that are designed and printed in-house by our experts. Our customer service team will ensure they understand your design and print needs before briefing the design team. When your order is ready to be printed, our print professionals carefully check the quality of your training manuals at every step of the process and before they leave our warehouse. Print4London.com can print training manuals on demand. That means you can order your training manuals or workbook whenever you actually need them, and in exactly the quantity you need. This way, you can maintain low stock levels and manage your cash flow better. With our flexible delivery dates, you can order training manuals for next day delivery or at a set date. We can also deliver training manuals directly to your offices or to another UK address. In addition to our training manuals printing service, you can have a variety of other customisable training courseware materials printed and designed at Printed4London.com. This includes course booklets, instruction manuals and workbooks. As part of our bespoke stationery print service, we can also print personalised certificates, assessment forms and course registration sheets. 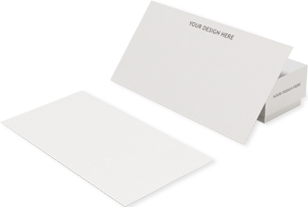 Our branded stationery products also include personalised notepads, which you can give out to delegates or to staff as part of a training course. You can order training manuals and other courseware through our online ordering system. If you are unable to find what you are looking for – or are looking for a more bespoke print service – you can email us at hello@print4london.com or call us on 0800 9176377. Alternatively, just send a request via the form below. Our account managers will be able to tailor print products to your requirements, provide you with all the necessary information and advise you on the best types of paper, binding and other specifications, should you need some guidance.